Before going through a bill run for recurring charges, you need to perform billing checks on the charges that you want to include; to make sure that they will be correctly invoiced. This guide will take you through the steps you need to take in order to invoice recurring charges using bill runs. You might choose to use bill runs when you want to create invoices for recurring charges; which are fixed licence fees for rent and contract services that you invoice in advance. 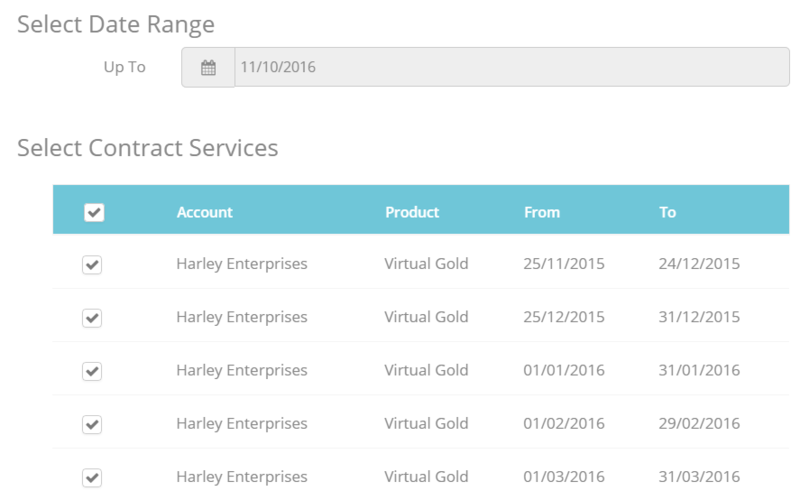 The advantage of using the bill run wizard is that you can automatically generate invoices for multiple customers in one go. First, run the Pre Bill Run Report; which is available under Reports > Billing Reports. You can choose to run the report by Organization, Client Type, Location or Account.Choose a date up to which you want to bill, then select the desired Accounts, Product Groups, Products or Floors. If you see any incorrect charges (e.g. : additional, missing or with incorrect information), go to Licences and edit the Licence, then run the report again. Proceed to the bill run only when you are sure that what you see on this report. Next, check your Draft Invoices - There should not be any draft invoice on recurring charges for the particular customer(s) you’re billing. Go to: Invoices > Bill Run. click Start a Bill Run and select your Location. 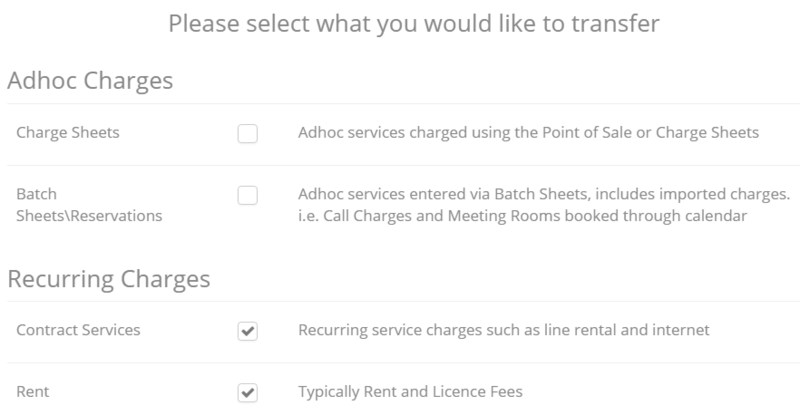 Deselect the two ad-hoc charges and make sure that both recurring charges are checked. Click Next to continue. Choose the contract services to bill - Select a Date Range by adding the date that you select here represents the last date of the current billing period. This means that your billing period extends from the last bill run to the selected date. Below the Date Range, choose the contract services that you want to bill. Click Next to proceed. Complete the Bill Run - You can choose whether to run the Bill Run in the background and be notified when it has completed, or wait on screen while it runs. By default it will run in the background. Deselect the check box if you would prefer to stay on the page while it runs. Please read the on-screen warnings to make sure that nothing unintended occurs. Click the Finish button when you are ready. If you choose to let the Bill Run take place in the background, you will receive an email and be notified on screen when it has completed, along with a link to view your Draft Invoices.